Researchers from GE Aviation are to develop a prototype which demonstrates the systems and software necessary for manned and unmanned aircraft to operate together for the US Air Force. 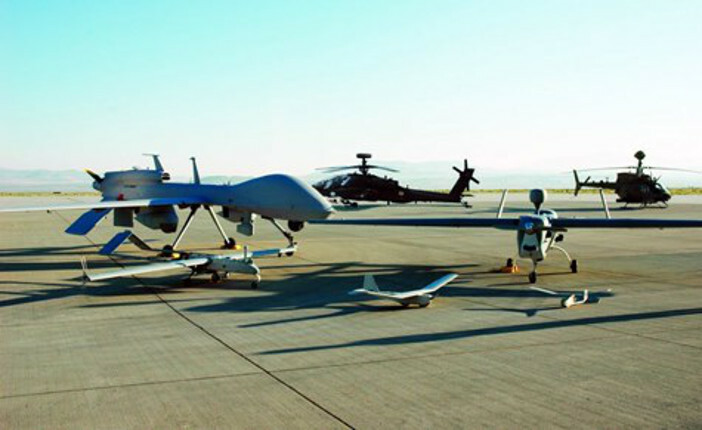 The two-year Teaming-Enabled Architectures for Manned-Unmanned Systems (TEAMS) prototype development program was recently awarded by the US Air Force Research Lab (AFRL) and will be conducted at GE Aviation’s Grand Rapids, Michigan, avionics site. The project is under the authority of the Base Vertical Lift Consortium Project Agreement. John Kormash, director of advanced and special programs for GE Aviation said, “The TEAMS program is a tremendous opportunity for GE to work closely with AFRL and our industry partners to prototype architectures that will enable the next generation of manned-unmanned teaming capabilities. TEAMS is an architectural modeling and prototyping effort under the AFRL’s Flexible, Assured Manned-Unmanned Systems (FAMUS) program. FAMUS intends to develop the “foundation” technologies for operations where a heterogeneous, multi-man, multi-machine team-of-teams can perform a range of missions in a flexible way. FAMUS aims to define the architectures, processes, methods, tools, and environments necessary to rapidly mature and affordably transition increasingly complex manned-unmanned teaming technologies. Also contributing to the project to develop the prototype are the copmanties Modern Technology Solutions (MTSI), Scientific Systems Company (SSCI), Dependable Computing and the GE Global Research Center (GRC).